In my lab, we take a converging techniques approach to all we do. We try not to get tied down to a singular methodology, and instead employ a wide range of tools and techniques that will allow us to answer questions from multiple empirical angles. 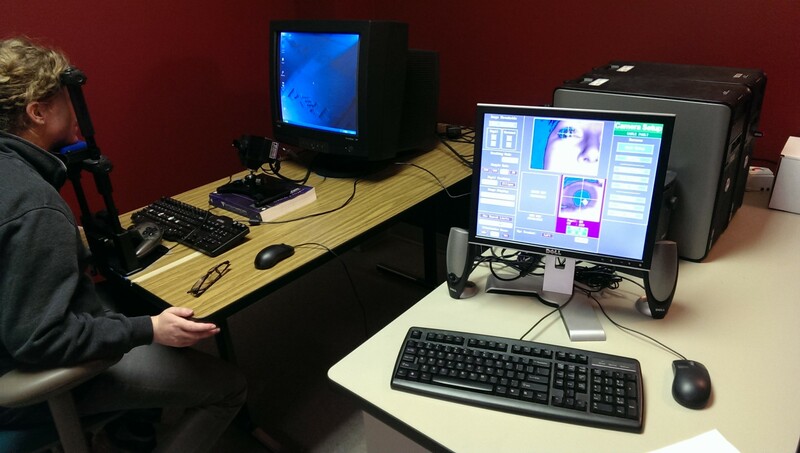 Our most often used tool is the departmental SR Systems Eyelink 1000 eye-tracker (pictured above). A great many experiments of ours end up migrating from the behavioral computers to the eye-tracker. 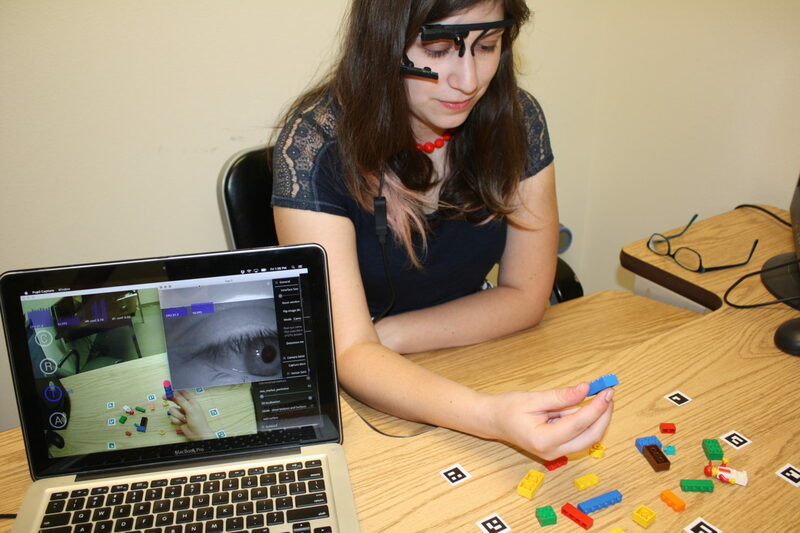 Recently, we purchased a Pupil Labs mobile eye-tracker. We’re just getting acquainted with how it works, but we hope to get started running some experiments with it soon, where we will have people look for things in the real world, move around in space, and so on. When we are interested simply in behavioral data (e.g., RTs, accuracy, similarity ratings), we employ banks of computers supplied with E-Prime software. 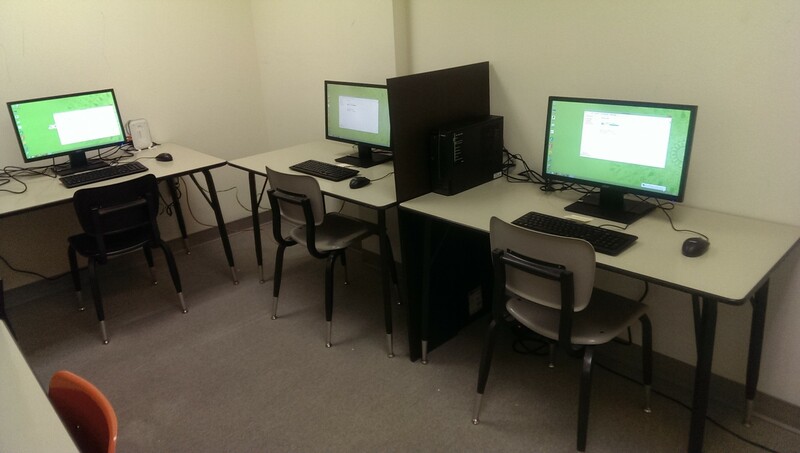 We have two separate testing rooms with four computers each. Here is a picture of one of those rooms, above. 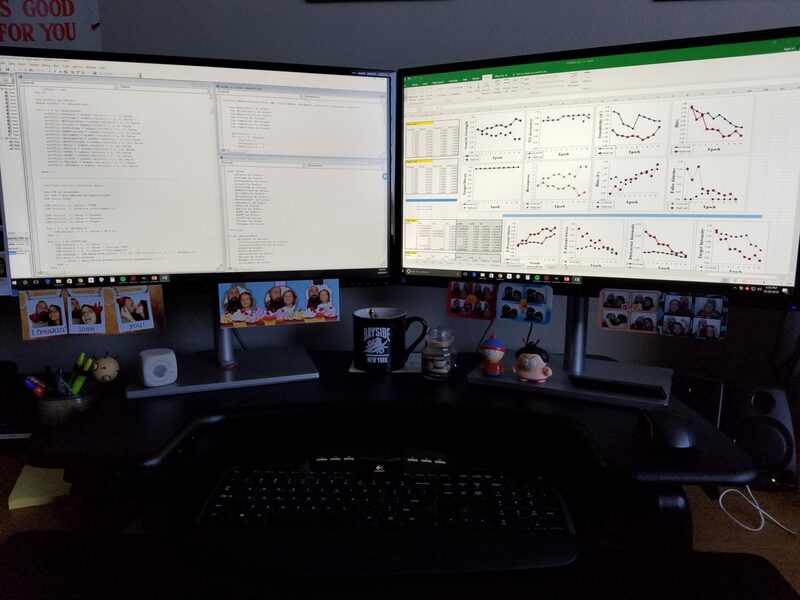 In addition to data collection, we often rely on computational techniques, such as computational modelling, or mathematical simulations. In our projects involving collaborative visual search, we employ a set of touchscreen monitors that allow for multiple searchers to work together to find targets and complete other tasks by tapping on the screen. 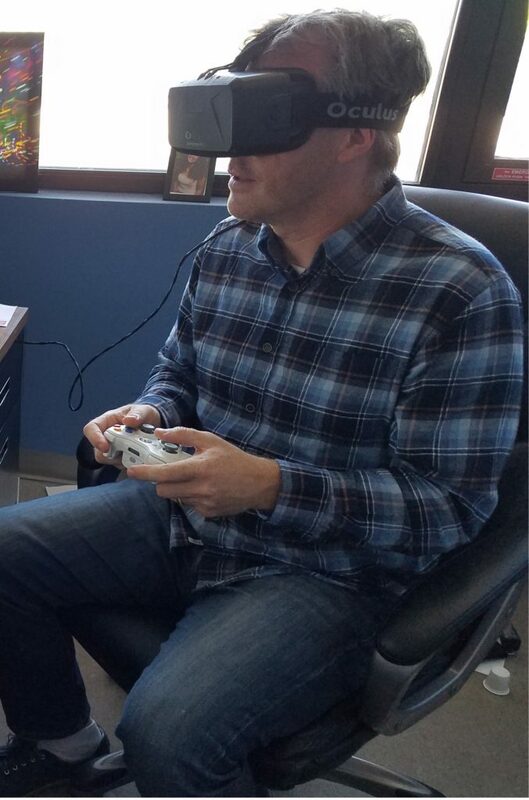 Another new piece of technology we obtained was an Oculus Rift virtual reality headset. Our aim is to eventually create virtual environments in which to conduct our experiments. 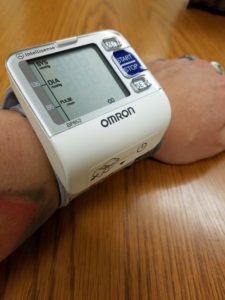 Occasionally, we collect physiological data from our participants, such as heart rate and blood pressure. And finally, our newest piece of equipment is a transcranial direct current stimulator (tDCS). 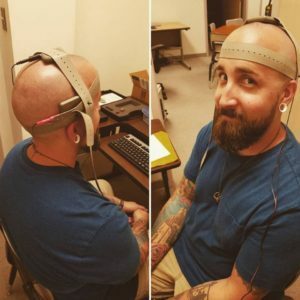 This device is used for stimulating the brains of our participants. Copyright © 2019 Michael C. Hout. All rights reserved.